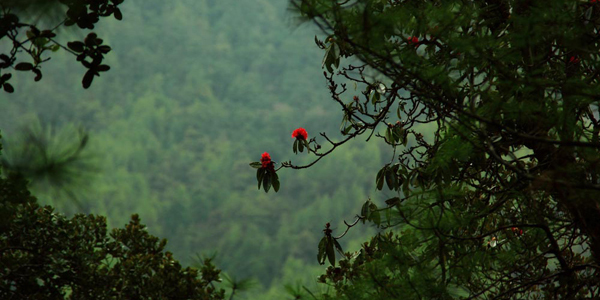 Bhutan’s pristine environment is under threat with the increasing level of pollution. The number of vehicles in the Himalayan country is increasing exponentially, as it opens up to modernization. Bhutan constitution requires the government to maintain 60 percent forest cover for all times to conserve its natural resources and prevent degradation of the ecosystem. The country maintains more than 60 percent forest cover and conducts various mass plantation drives across the country annually. The Himalayan country with a population of 700,000 has reported having more than 92,008 vehicles in total, per the latest report by the Road Safety and Transport Authority (RSTA). From 40,532 vehicles in 2008 to 92,008 recently, it has been quite an increase. The road safety and transport authority reported that Thimphu has the highest number of vehicles with 47,753 followed by Phuentsholing with 32,134, while rest of the 18 districts have lesser than 6,000 vehicles. Road congestion, has become a serious problem especially in towns of Thimphu and Phuentsholing. Felling of trees and construction of new roads into the mountains and expansion of old roads, impacts environment. The National Environment Commission of Bhutan has reported that the increasing number of vehicles also impacts air quality. The commission’s report said there has been a constant increase in the concentration of atmospheric particulate matter (PM10) in Thimphu since 2004. Despite having policies such as revision of taxes on import duty and green tax in 2014, the number of vehicles purchased has not decreased. Despite rise in pollution level and environmental impact, increasing number of people migrating to urban cities opted for private vehicle over public transportation.